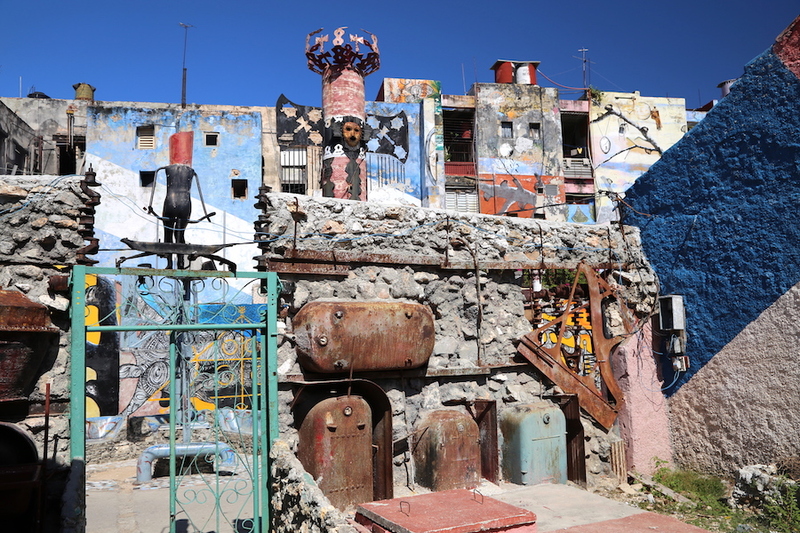 Havana (also known as Habana) is a blend of the old and new, where vintage cars and crumbling Spanish colonial architecture mix with kitschy galleries and a booming nightlife. 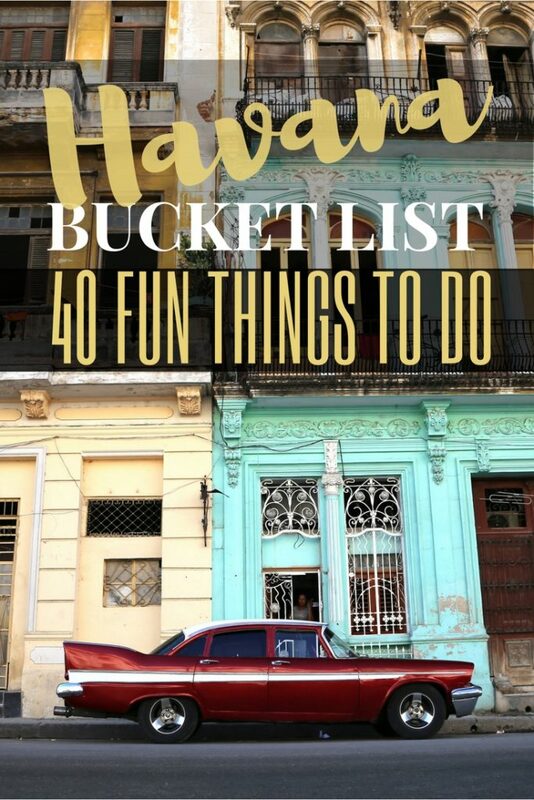 Cuba’s capital city is meant to be explored and there are plenty of fun things to do in Havana and cool places to visit. 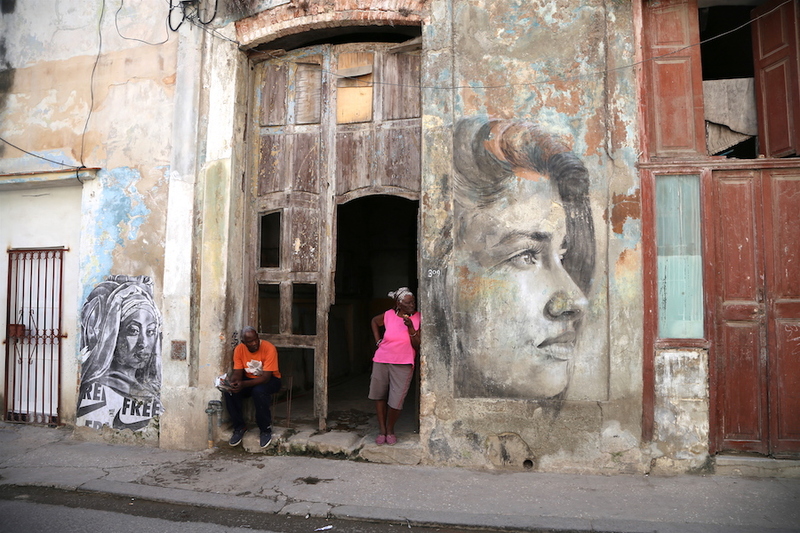 Every nook and cranny of Havana offers something new. 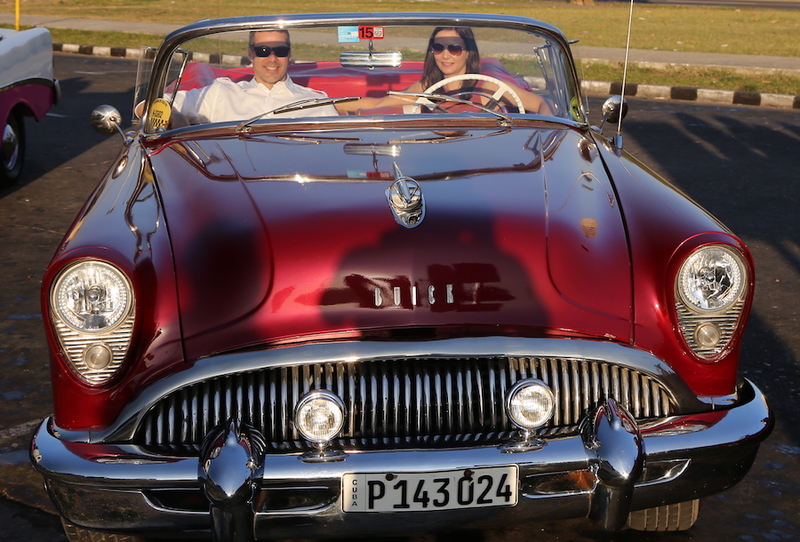 Though there are still some light restrictions for Americans traveling to Cuba, when you make it there you will find it filled with character, culture and friendly people with incredible things to see, do and eat! 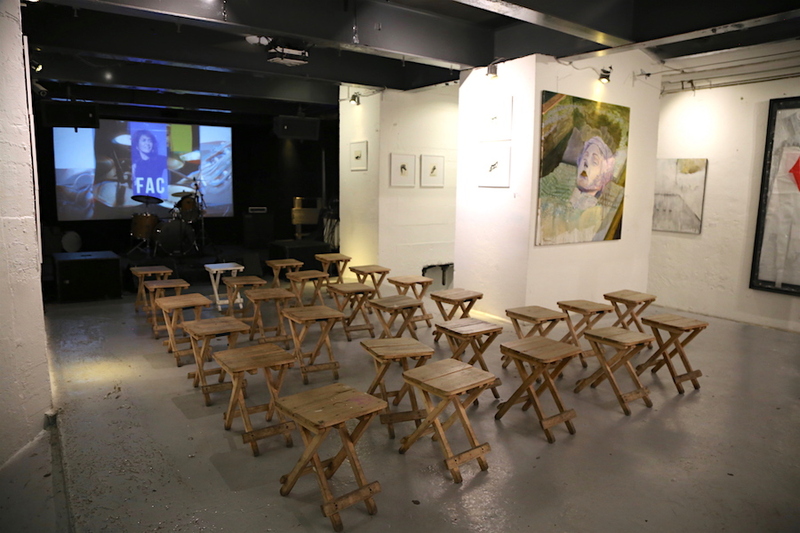 Fabrica de Arte Cubano (the Cuban Art Factory) is a cutting edge hotspot where sophisticated gallery rooms cohabitate with multimedia performance spaces. 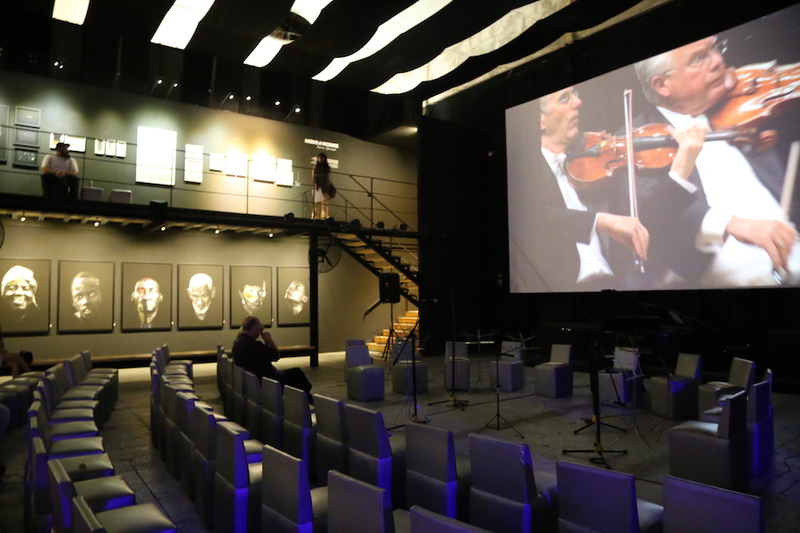 The large warehouse space that used to be a former cooking oil plant, now has been transformed into the hippest place in town where live events happen (like tango classes and symphony performances) while interesting art expos line the white walls. Make sure to order the oversized house mojito (a jumbo 40 ouncer for $10!). 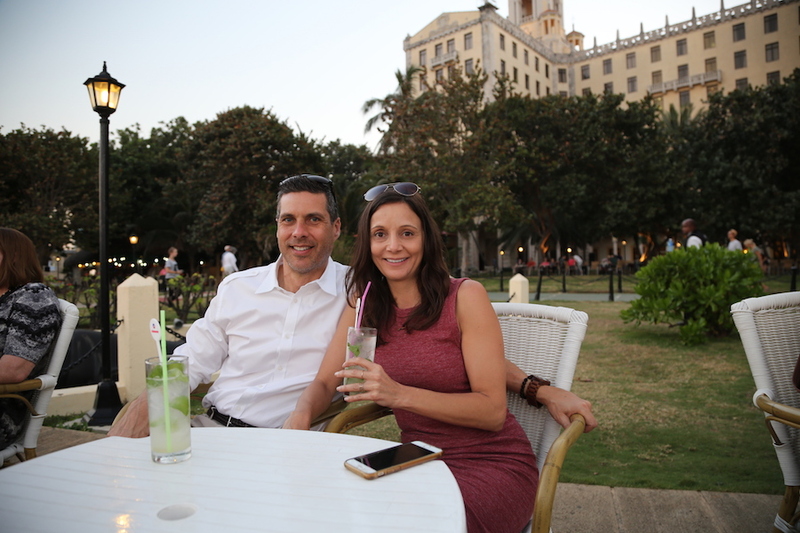 It was the best mojito I had in Havana, yep I’m gonna say it — even better than the most famous place to drink this classic beverage, Hotel Nacional. They are only open Thursday thru Sunday (from 8pm-3am), so plan your itinerary accordingly, because this is the one of the not to miss places to visit!!! Also, right next door is El Cocinero, a great place for dinner before or after your Fabrica de Arte Cubano visit. 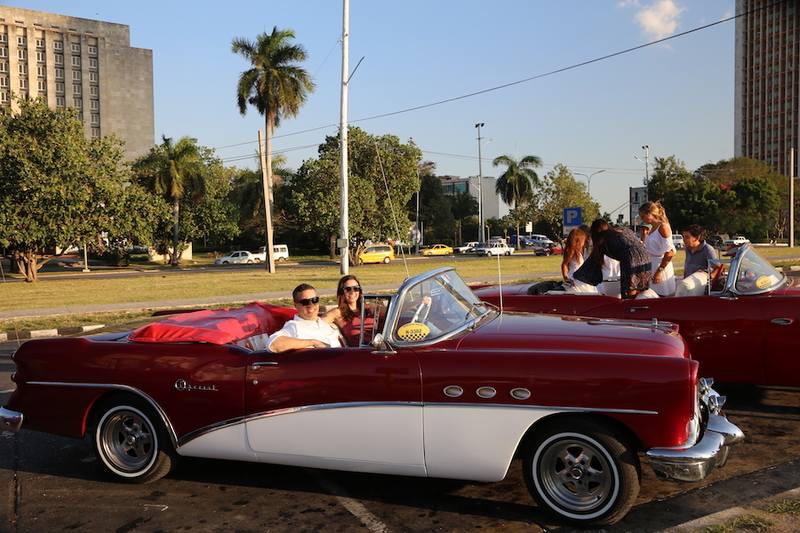 It would almost be a sin to leave Havana without taking a ride in a snazzy classic convertible—it’s the top thing to do. These pretty vintage cars will tempt you by cruising up and down the avenues in all their glory. We took a Vintage Classic Car Tour for $50 per person, and it included an hour ride in one of these babies. Otherwise, there are a dozen drivers with their beautiful cars in front of Hotel Inglaterra at Parque Central ready to take you wherever you want to go. 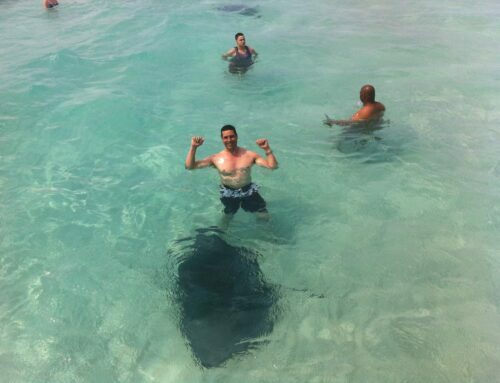 The cost can range from $25 CUC to $50 CUC per hour depending on the tourist season and your destination. But, always try to negotiate! Cuban cigars are known to be one of the finest in the world. From east to west they are prized and the reason being is that Cuba has excellent conditions for growing tobacco and most importantly they have centuries of experience. You can get cigars throughout Havana, but there’s a decent selection at Partagas Cigar Factory right behind the Capitol building. Though the “factory” part has moved to a different location, you can still buy your Cuban and then head to their VIP room to smoke it. 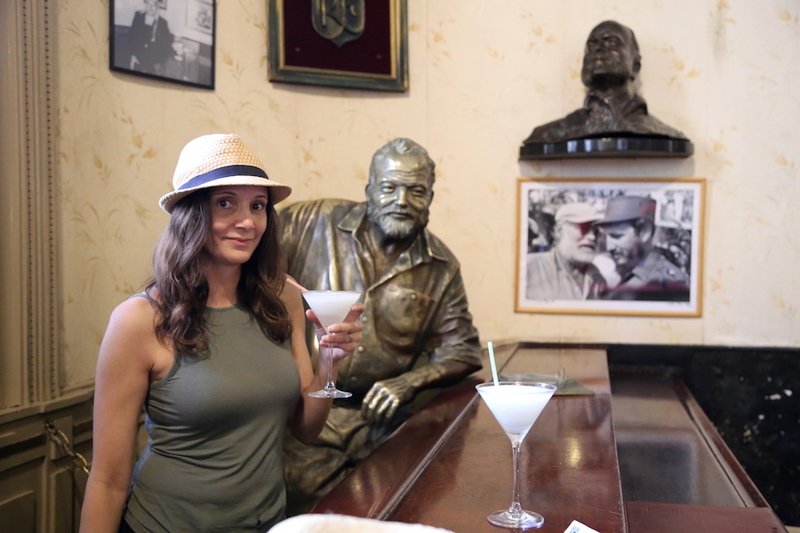 Or grab a cigar and a mojito at La Bodeguita del Medio, just like Hemingway did. 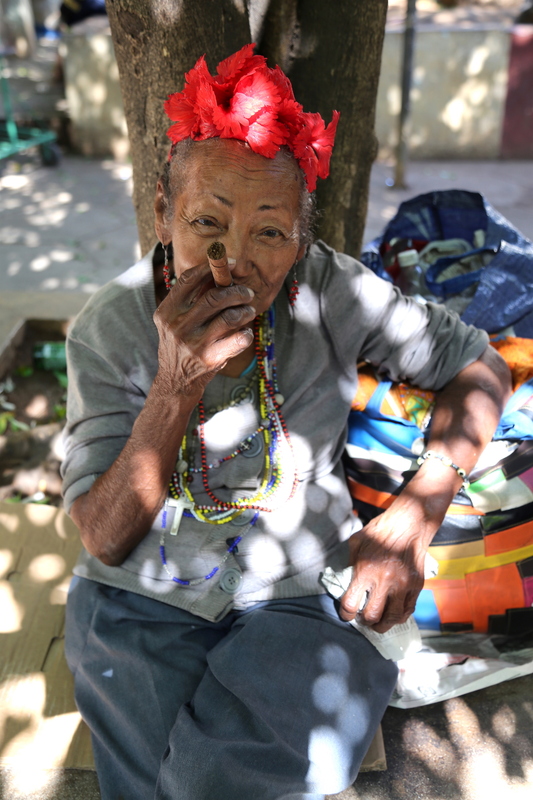 If you’re not into smoking cigars, you can at least take a photo of the Cuban women around the old town who will pretend to smoke a cigar for about $1 CUC. 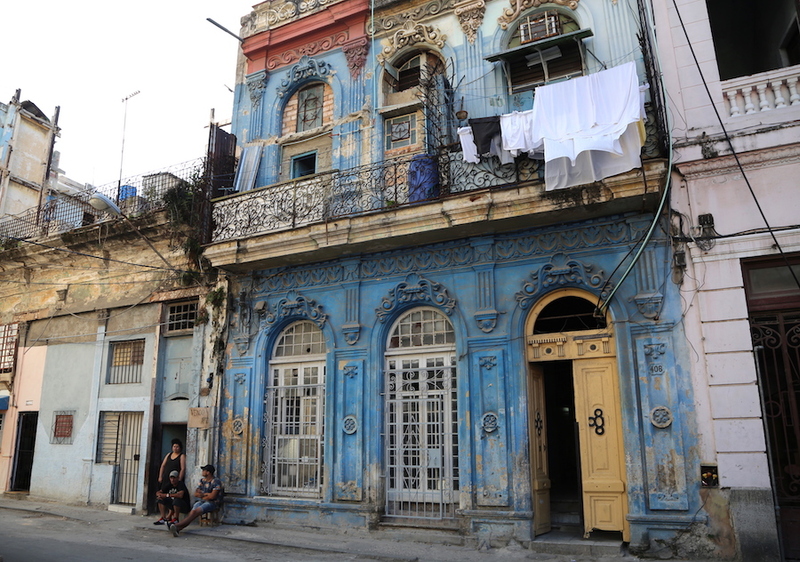 La Habana Vieja or Old Havana, an UNESCO World Heritage site, is the historic center of Cuba’s capital city. It is the heart of Havana—the #1 Place to Visit. You can easily spend hours aimlessly strolling through the narrow streets taking in the colors and history attached to them. There are countless historic colonial buildings, cutting-edge galleries, restaurants, shops and lovely plazas to explore. This is also where you will find many of Hemingway’s famous stops. When I first arrived, I took the Old Havana Walking Tour in order to catch my bearings, but then just happily roamed on my own. 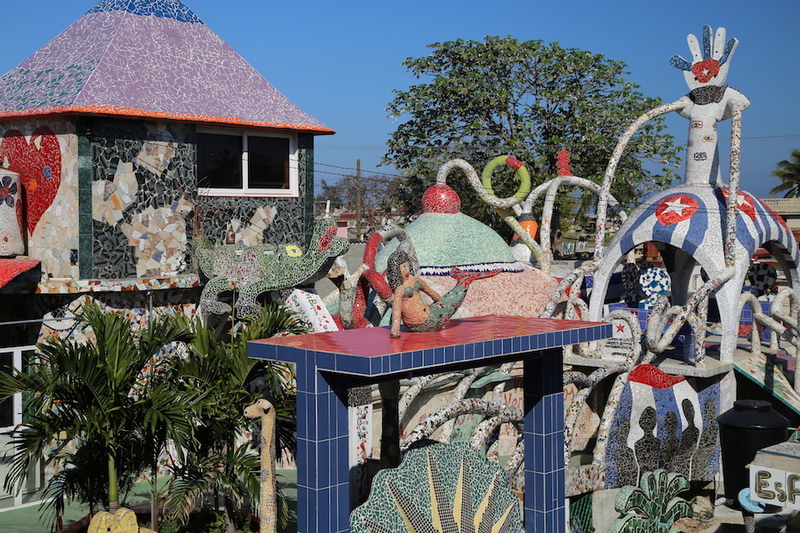 About a half hour west from central Havana, Cuban artist José Fuster created a masterpiece of mosaic tilework in his home and the surrounding neighborhood — Fusterlandia. It is street art unlike any I have ever seen. 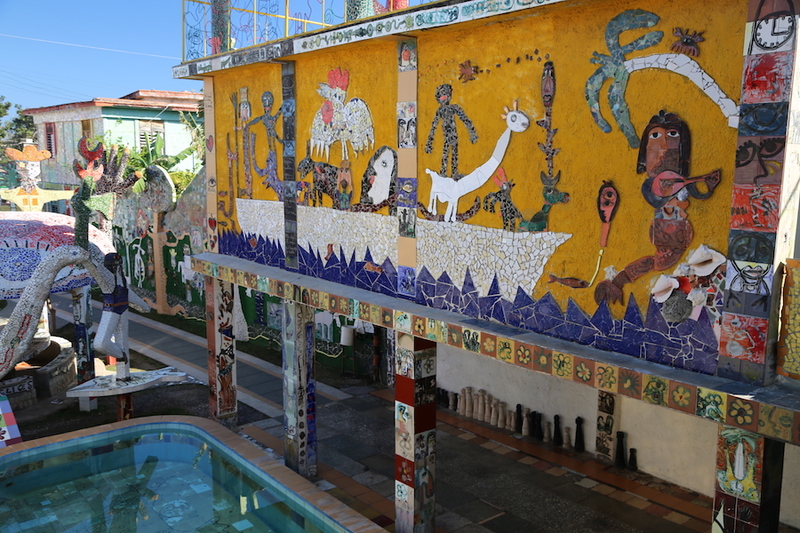 His home is decked out in a rainbow of bright colored tiles, that has spilled over to the surrounding houses as well. 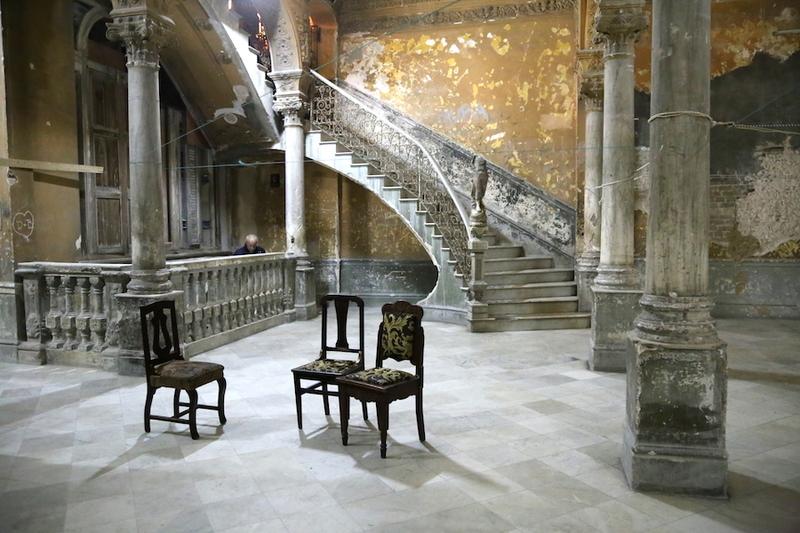 It’s free to get into Casa de Fuster located in the district of Jaimanitas, but you will need to choose a way to visit there. 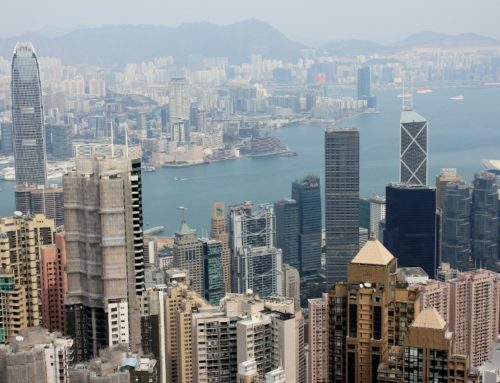 The easiest and quickest way is to take a yellow taxi or vintage car, which will cost around 20 CUC. 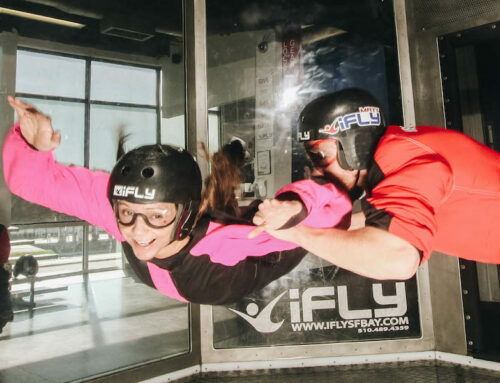 Or if you are more adventurous (and want to save lots of money!) attempt to navigate the local bus system. The MetroBus map can get confusing, but a ride will cost only about 1 CUP. You can take the P1 or P4 to get to the Playa stop. From here it’s about a 30 minute walk along Avenida Quinta or it’s possible to catch a local bus at Playa to take you to Jaimanitas (ask the bus drivers). Cementario de Cristóbal Colón (Colon Cemetery) is not your typical cemetery, it has over 800,000 graves in its 57 hectares (about 141 acres). 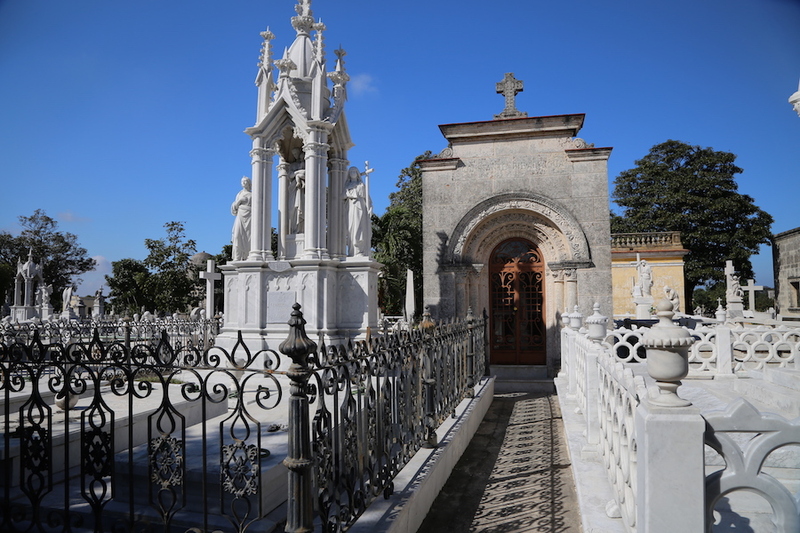 It is known for elaborately sculptured tombs where bishops, politicians, artists, scientists and sports figures lay. 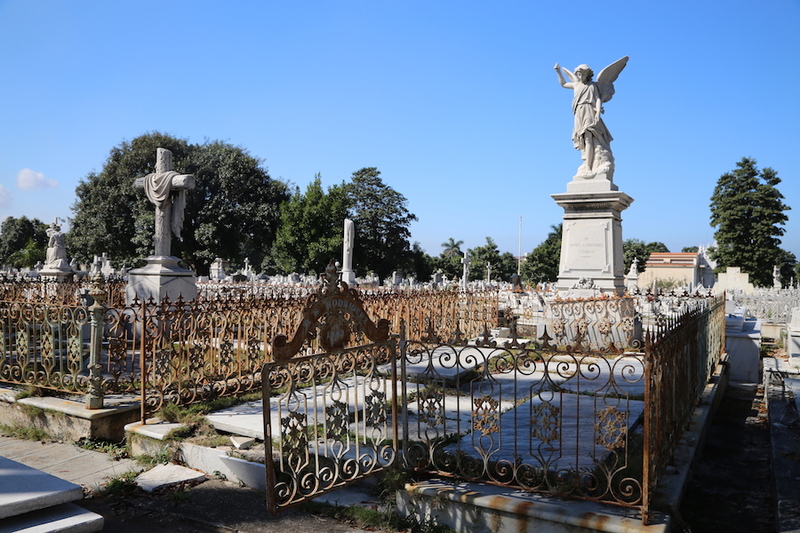 You will want to plan a little more time than you think because it is so grand and known as one of the most remarkable cemeteries in the world. It is well worth the $5 CUC cost to get in, and a map is always available for purchase at the entrance. But, be sure to go early or on a cloudy day, there is not a lot of places to rest and it can get uncomfortably hot. The Hop On – Hop Off bus makes a stop there or any taxi driver should know where it is. 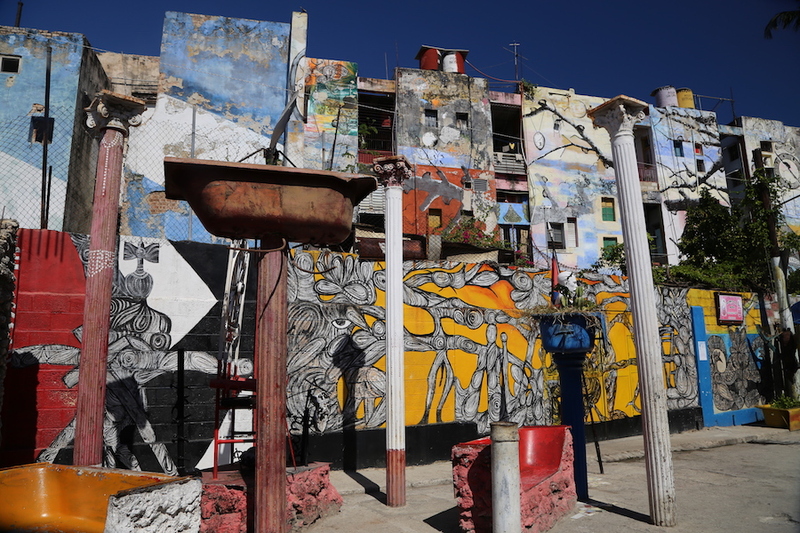 Callejón de Hamel is a great place to go any time for its unconventional street art and funky art shops, but on Sunday afternoons the place takes it to another level with a party that immerses you deep in the culture of Havana — let’s rumba! Around noon, Callejón comes to life with a live rumba party. Locals and tourists alike cram into the small space to watch as musicians and dancers perform. If you love to dance to Latin grooves then Salsa is a perfect thing to learn while in Cuba — salsa is in their blood. 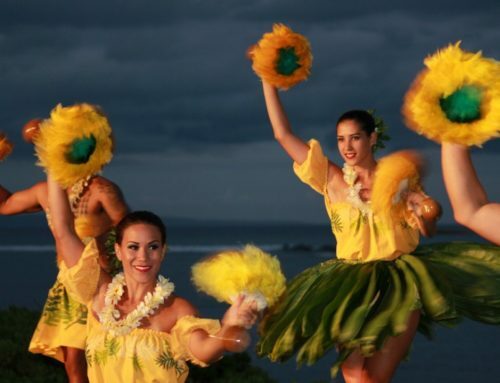 You can learn to light up the dance floor, burn some of those extra mojito calories and spice up the mood too. At La Casa del Son, you can get a one on one private lesson that is perfect for the novice or someone who wants to perfect their skills. 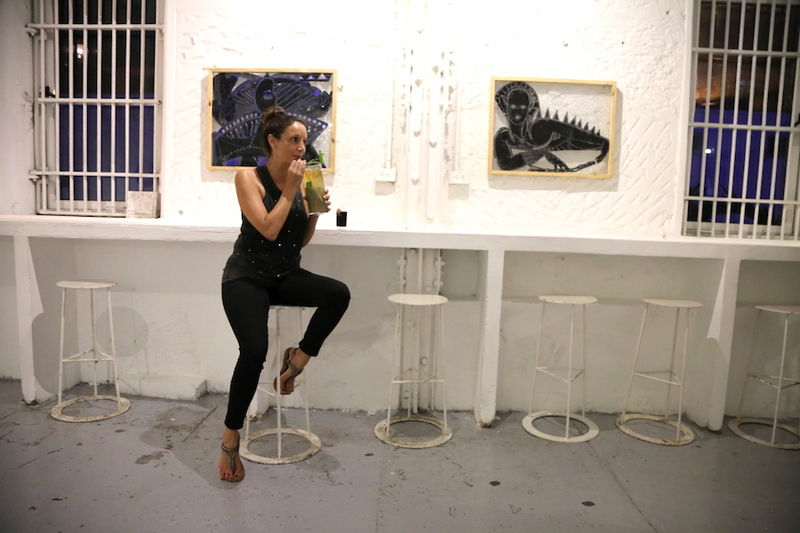 After class, take your talents to the streets and hit up one of Havana’s best Cuban dance clubs. Try your fancy footwork at Diablo Tun Tun or El Turquino. 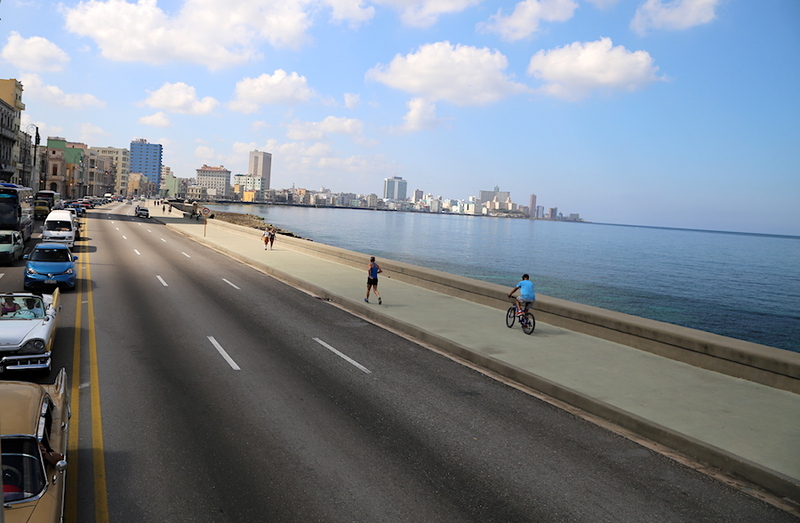 The Malecón esplanade is an 8 km stretch aside the Havana picturesque seaside. Many will hire a vintage car taxi to drive them the length, but you will get so much more out of walking the distance, making stops along the way. You can make an afternoon of interacting with the strolling locals, watching the fisherman, eating at one of the Paladares, marveling at the colonial architecture and so much more. 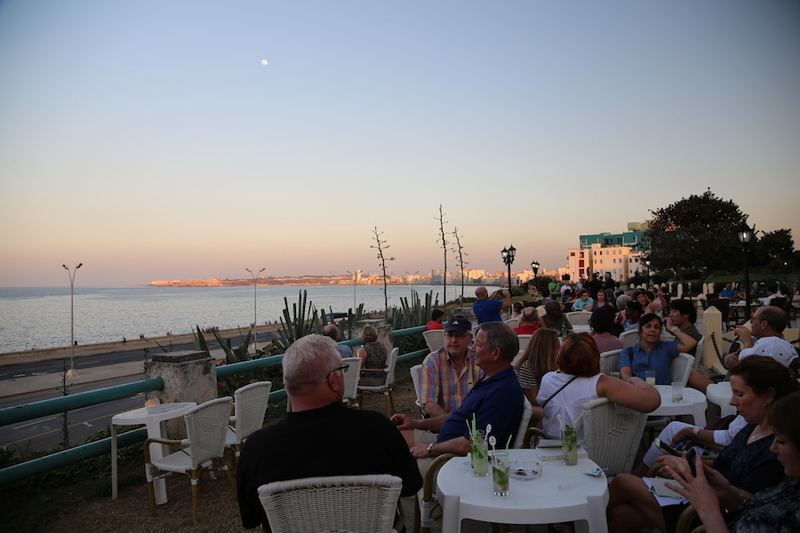 Try to time it just right so you will see the sunset while you stroll, or even better, when you reach Hotel Nacional and are sipping a mojito on their terrace that overlooks the malecón. Fortaleza de San Carlos de La Cabaña is an impressive 18th century fortress complex along the Havana sea where the el cañonazo de las nueve (a live cannon fire) happens every evening at 9:00pm sharp. Initially this shot was to announce the opening/closing of the forts gates, but today it is just a reminder of Cuban traditions. Make sure to plan your visit much earlier because the event starts well before the cannon fire at nine. Beforehand, traditionally uniformed soldiers march through the complex performing in an entertaining parade. You’ll either need to take a taxi or catch the ferry to get there, but you can also get a distant glimpse while simply walking along the Malecón. Beware that it gets crowded at La Cabana and the early birds get the best viewing positions. 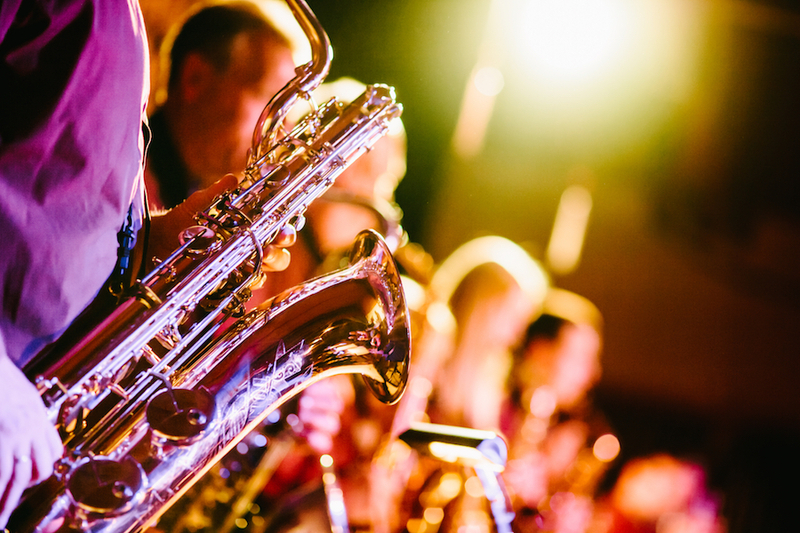 Cuba has rich rhythm and soul in their bloods, and it can be experienced from one of the many jazz clubs in Havana. Even while walking through the Old Town late at night the music and dance will be spilling into the streets. Or make a point to go to La Zorra y el Cuervo, the most famous jazz club in Havana, where every evening at 10:00pm brings a different musician. 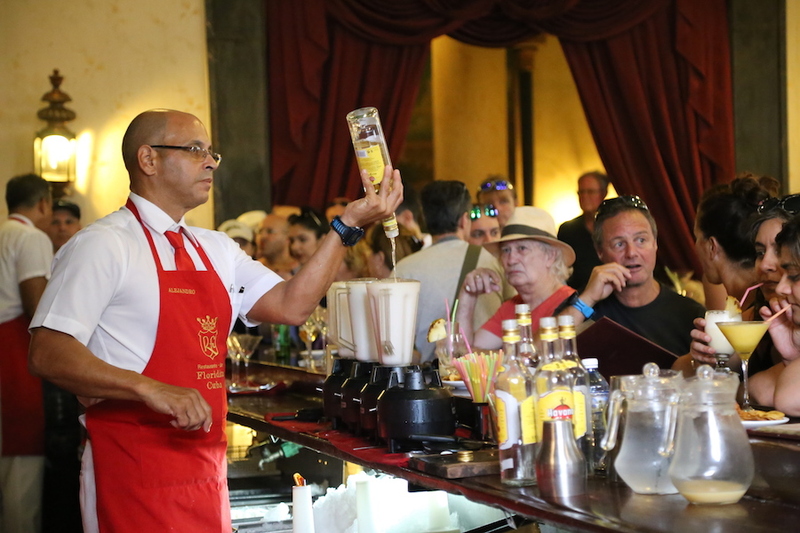 El Floridita may be the most touristy bar in all of Havana (it is the quintessential thing to do in the city), but who wouldn’t want to go to the place Hemingway claimed makes the best daiquiri in the world? 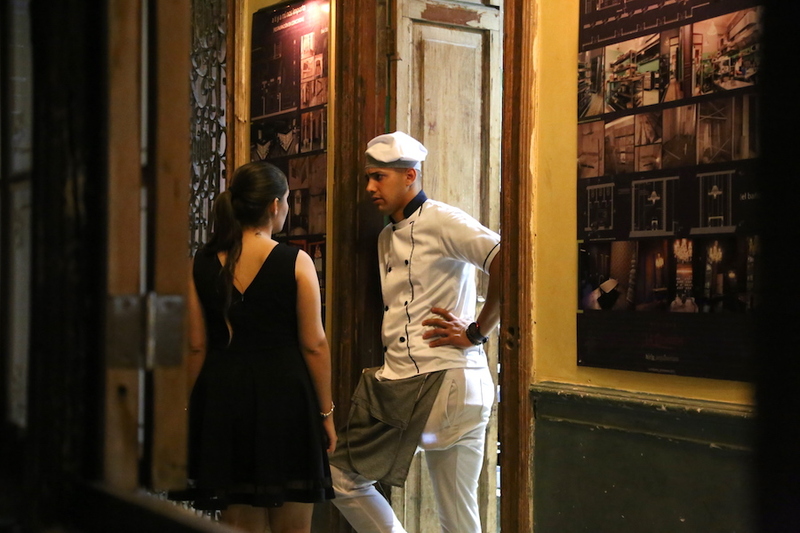 It’s located in the popular Old Havana, which only adds to the crowds (there’s almost always a line out the door). When you walk in musicians play, the crowd is energetic and the bartenders have the blenders on full speed with daiquiri glasses ready to roll. Plus, you can pose with the life-sized brass Hemingway. Don’t eat there, but its worth a quick cocktail stop. Make your daiquiri a double, that’s how Hemingway did it. 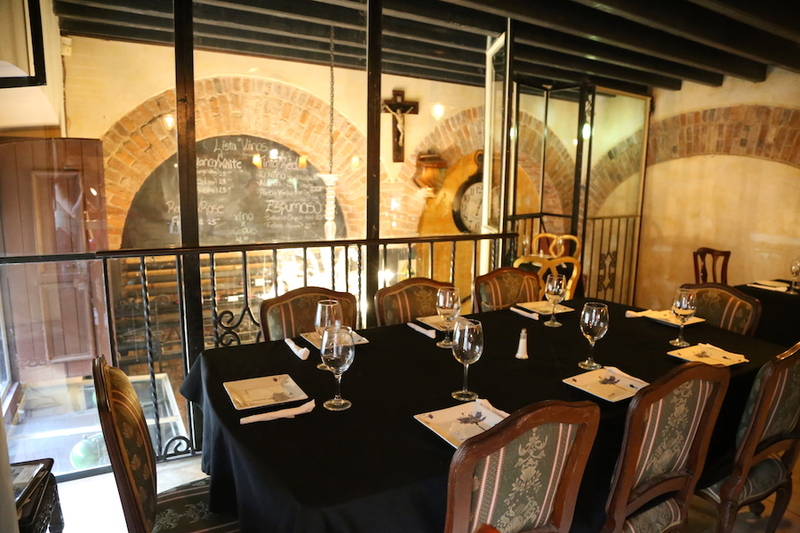 A paladar is a privately owned restaurant, typically located in a converted home and run by a family. 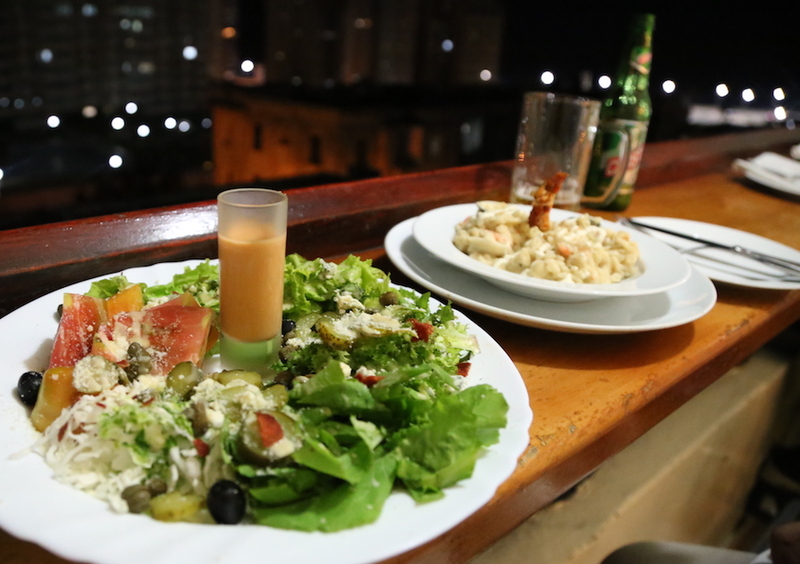 It is one of the best ways to enjoy the Cuban culture and cuisine. Many times you won’t even realize you are dining in paladar because they look just like a regular restaurant! 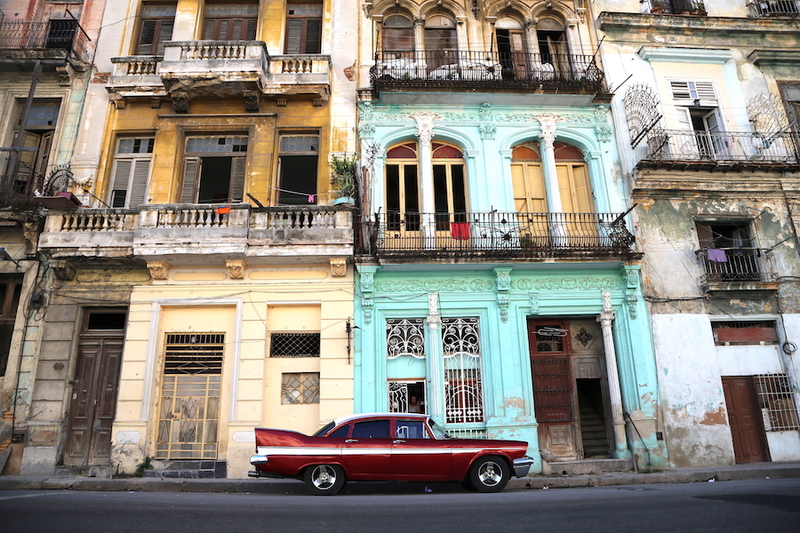 La Guarida is arguably the most famous paladar (and one of the priciest) in all of Havana. 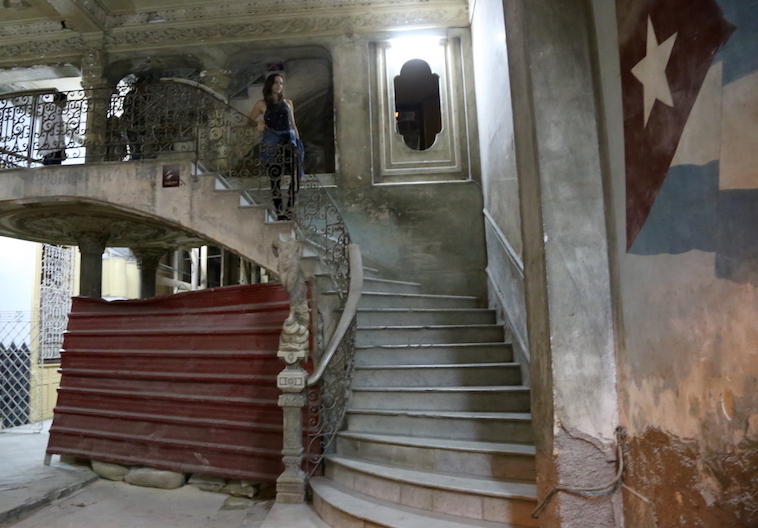 Located on the third floor in an apartment, the memorable experience starts on the ground floor where a wall with the Cuban flag leads you up a dilapidated staircase. The second level is fit for the scene of a movie with its naturally faux finished walls and rustic stone columns. When you finally arrive to the restaurant the food does not disappoint, neither does the ambiance. Dinner for two (two entrees, one app, three glasses of wine) cost us $68. Even though it was the most expensive meal we had in Cuba, the same one would have cost us at least double in northern California. Reservations are highly recommended, which you can make online, but be aware that due to limited internet access it may take a while to get a response. 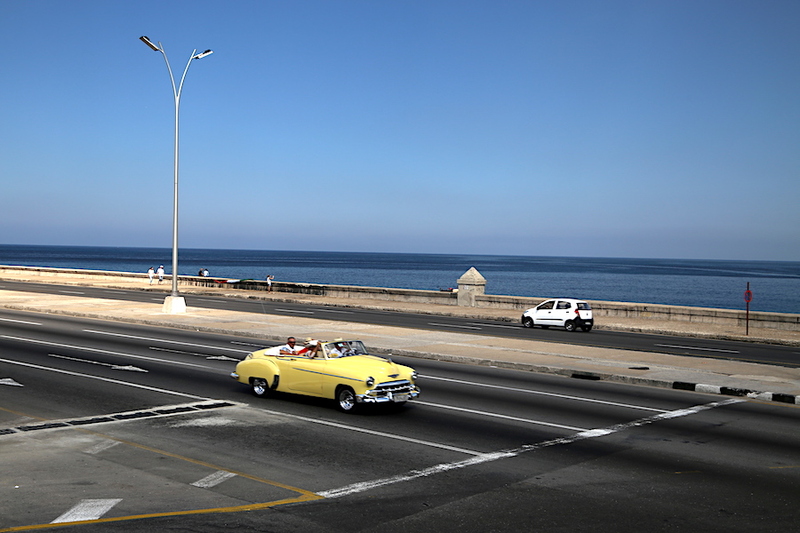 While walking along the Malecón, it’ll be hard to miss the iconic Hotel Nacional. The large historic hotel is perched on a hill giving it a view of the sea, harbor and old cars driving by. This is one of the reasons that their stunning garden terrace is so popular. The mojito is their specialty drink and almost every outdoor table will have one on it. Even though I said that the mojitos at Fabrica de Arte Cubano (see #1) were better, the terrace at Hotel Nacional more than makes up for it. 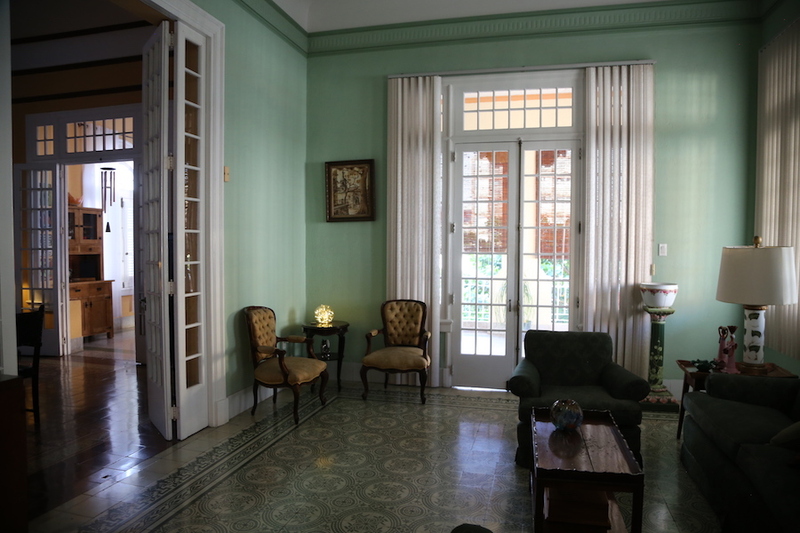 There are only a handful of hotels in Havana and they are mostly owned by the government, so are very expensive (typically $300+ per night). 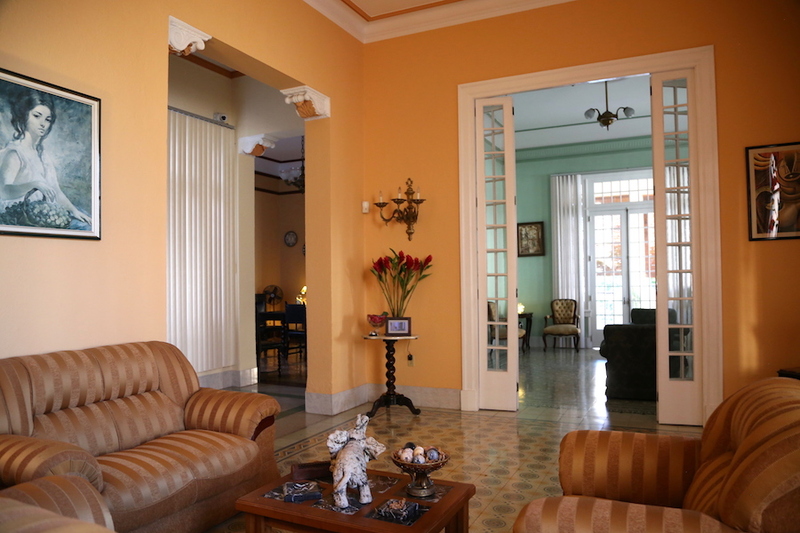 It is more common for visitors to stay in a Cuban’s private home (casa particular) or B&B, which is way more economical and a local experience. Head over to Airbnb because this is where you can easily find a room in a cute house for under $50 per night. 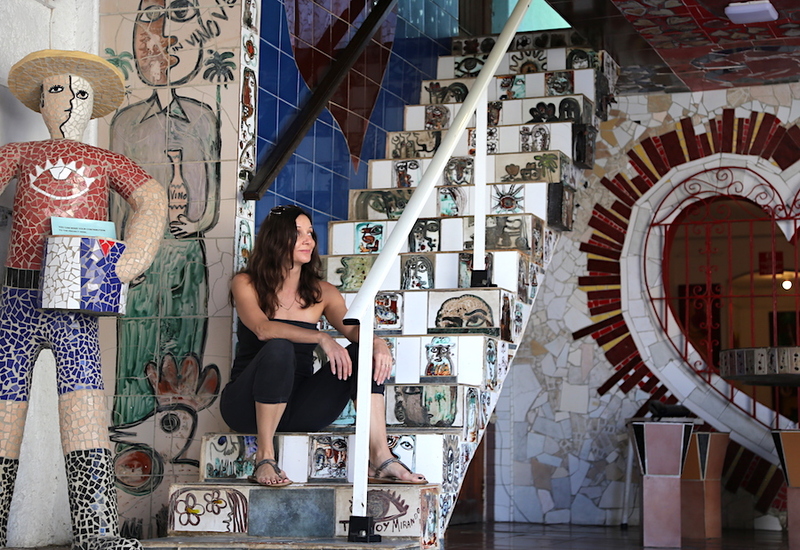 I stayed at the lovely Mi Case Tu Casa, which was a little pricier at $125 per night. But, it had excellent reviews, breakfast was included and there was internet access. Plus, its location was right across the street from the larger Hotel Presidente, where the hop on hop off bus stopped, there were always taxis available, we could exchange money and listen to music on the patio. It was a lovely stay and I would highly recommend it! 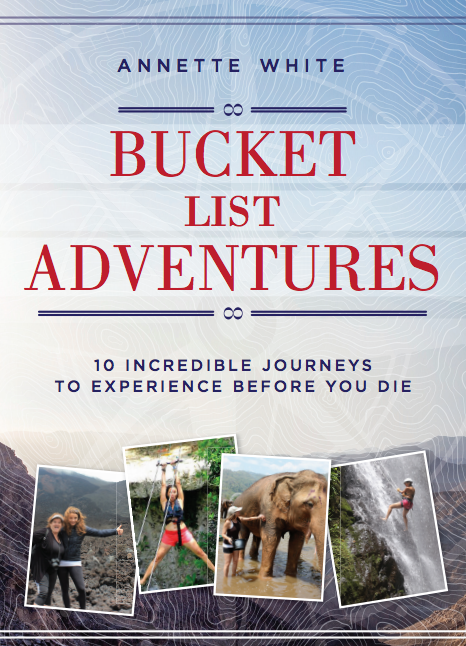 Awesome blog, I have added all of those in my bucket list! When are the normal lunch and dinner times in Cuba. Would like a dinner reservation before the large crowds arrive. From what I experienced, prime time for lunch was around 12:00 and dinner at about 7:30 or 8:00. Many restaurants will open at 7:00pm for dinner so if you are trying to beat the crowd I’d go right at opening (or earlier than 7:00 if the restaurant has earlier hours). I will be traveling to Cuba soon and stumbled on to your site. I love it! I love your long bucket list and all the things you have experienced. Thanks for sharing everything here! Congratulations on your article, it is impossible to summarize in one text the best of Havana, I live many months there and there are infinite places that exist, is a city of 2 million inhabitants. 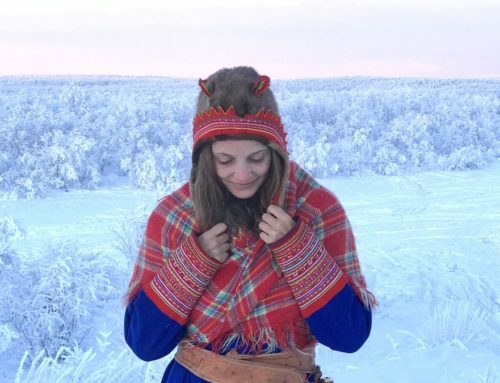 I would like to be able to complete your excellent article with some places that usually we only know those who live there, I hope they are interesting for your readers. Restaurant Focsa, the highest and least known restaurant in Havana. Visit the Barrio de Regla by taking a small boat in front of the Hotel Armadores de Santander. I would also like to contribute a selection of my photographic projects on Cuba to know a little more the idiosyncrasy of this country. I’m jealous that you be in Havana and I’m so happy to hear that the article was helpful. Have a great time! I’m planning a vacation to Cuba with my husband. Thanks for all the tips its very helpful. Do you suggest visiting Vinales for a day or staying overnight? Is it really worth only visiting for the day for a 4 hour round trip ride? I actually did not go to Vinales (but have heard it is amazing! ), but most places I would recommend spending the night so you can get the full experience. Thanks for the info about Havana. My family and I will be visiting the capital in the New Year. My boys are 12 & 15 years old, any suggestions of absolute must sees? We will be spending an entire day and evening but will not be spending the night. I’ve asked them to research the capital and pick one thing that they would like to do. My 76 yr old father in law, who’s in amazing shape, will be with us as well. Any tips you could provide will be appreciated. Thank you and I enjoyed reading your blog. With two boys of that age I would say the one thing you would have to do is ride around in an old convertible. 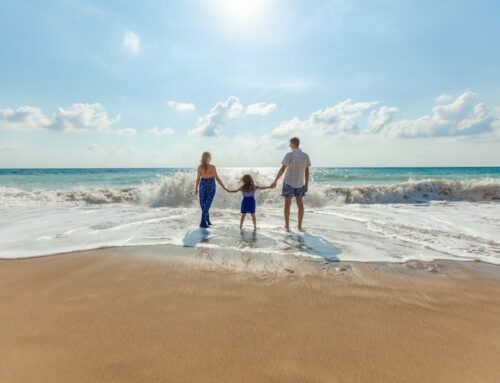 There are so many to choose from and they can even take you to some of the highlights. 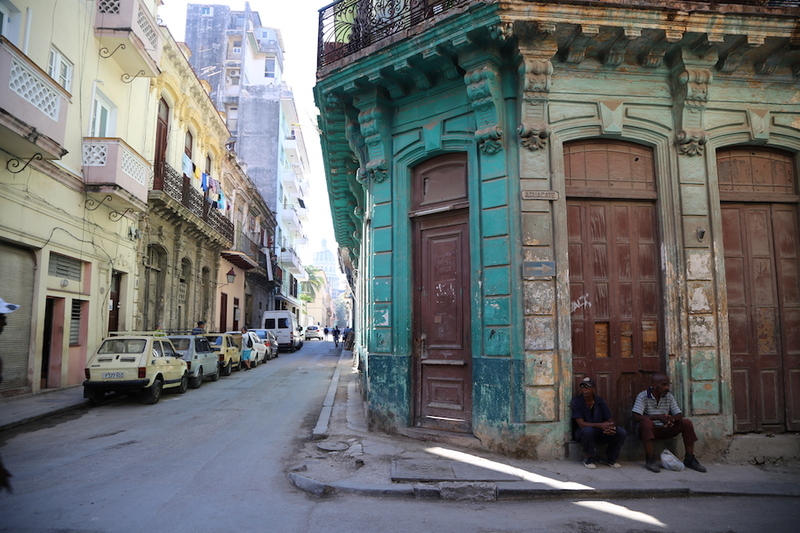 And definitely explore the Old Havana. 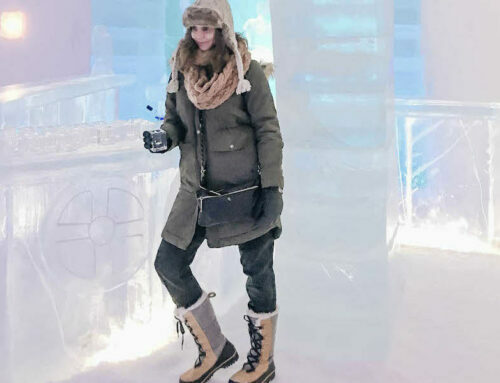 It has tons of shops and cool restaurants that they should enjoy. what cant I bring back?? Thanks! We stayed at the same AirBnB. Beatrice was awesome.